I am fixing this and that around the house this weekend. I wish I could talk about my regular job there is always so much stuff going on. We finally got a break in the cold weather and today it is above 40 and raining a little. The llamas appreciate the warmer weather but they don't mind too much getting locked in the barn when it gets cold. I am going to a conference in Rochester on March 23rd. Then I am headed to Canada for work on the 4th. After that I am headed to Idaho at the end of April for work. Bonnie is going to meet me out there for a couple of days of vacation. The first picture shows safety in action in Antarctica manifested as a sticker on the shop truck. 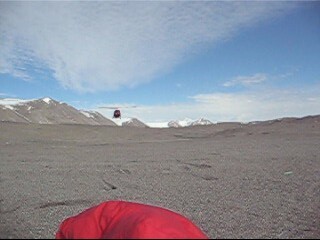 The second image links to a movie of a typical pickup at a field camp. In this case it was us getting picked up at New Harbor camp on a really nice day. Nick in the left seat and Mike at the pilot position on the right of the Bell 212. I never have figured out why the seats are backwards compared to a fixed wing aircraft where the primary pilot position is on the left.